As a city attorney with decades of experience, 1972 Boettcher Scholar Doug Marek has helped set policy and guide legislation in both Colorado and Iowa. But before Doug was an attorney, he was a teacher. 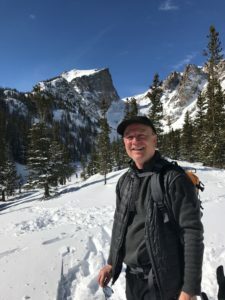 He received both his undergraduate degree and a Master of Arts in teaching from Colorado College, and began teaching at a middle school in Colorado Springs. A few years later, Doug and his wife moved to Ames, Iowa, where he taught middle school, coached sports and ultimately decided to attend law school at Iowa State University. After passing the bar exam, Doug channeled his background in teaching and became a professor of law at Drake University. He was later offered a position at the Iowa Attorney General’s office, where he reported to Tom Miller—the longest-serving Attorney General in the United States. In 2005, Doug become the City Attorney for Ames, Iowa—a university town with 62,000 people, half of which were students. “I loved being involved in legal decisions that improved the residents’ quality of life and in the development of public policy that shaped the town,” said Doug. 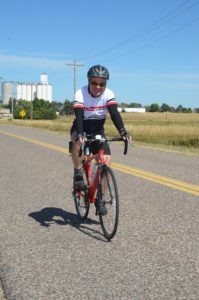 Despite his success in Iowa, a trip home to Colorado for his 40th high school reunion ended in a job offer to be the Greeley City attorney, a position he’s now proudly held for seven years. As an advisor to elected city officials, Doug is able to recommend and steer some of the key positions that Greeley takes on litigation and local legislation. “It’s rewardi ng to see how you can improve the lives of people, either through litigation or long-range planning,” Doug said. Looking back at his career, Doug acknowledged that it has been the personal relationships that he’s created and carefully maintained which have led to his success. “I still contact people I worked with more than 20 years ago to ask for their advice or just check in,” said Doug. When he’s not in the courtroom, you’re likely to find Doug skiing, snowshoeing or cycling —“Pedal the Plains” is an annual favorite of his. Doug is also an avid supporter of arts and music in Greeley, serving on the Dean’s Community Arts Advisory Board at the University of Northern Colorado.